Red Cherry Cafe in downtown Walpole, Mass. 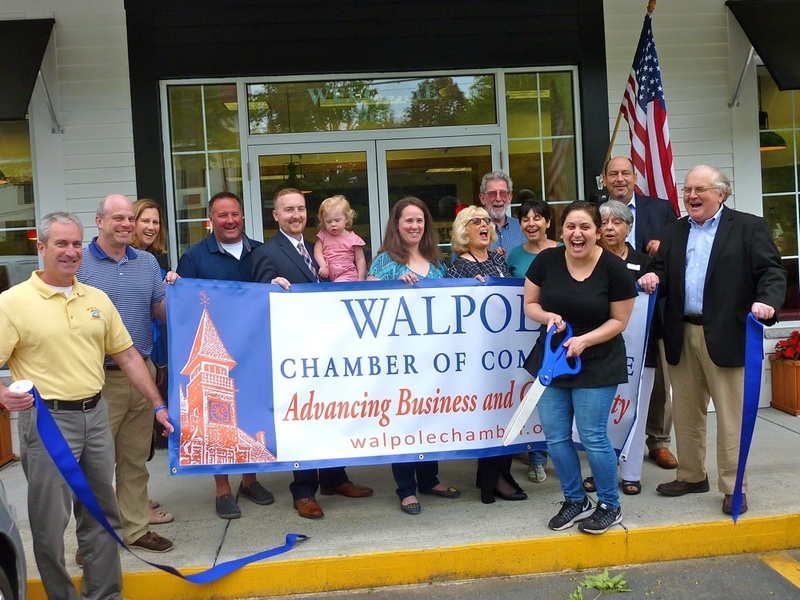 Evelynn Sidiropoulos could barely contain herself when the Walpole Chamber of Commerce Ribbon Cutting Ceremony took place on June 7, 2018, at her new business, Red Cherry Cafe in Walpole, Mass. Evelynn Sidiropoulos is overcome with emotion at the ribbon cutting ceremony at her business, Red Cherry Cafe in Walpole, Mass. 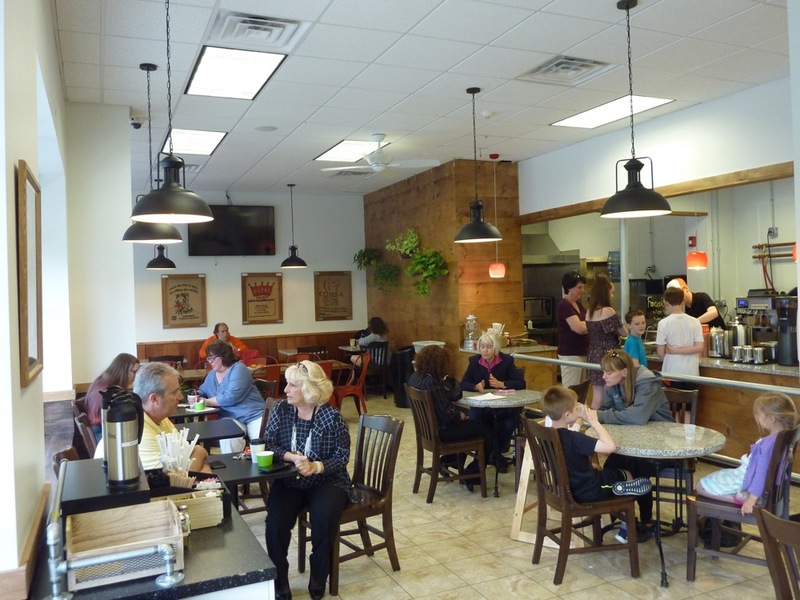 The enthusiastic crowds gathering at the Red Cherry Cafe grand opening suggested that the local cafe could be a cornerstone business and a go-to eatery for many years in a quaint downtown district that desperately needed this kind of business. Here, families, couples, college students back from their first year away, high school students, a Walpole selectmen, town meeting members, private sector professionals, landscapers, fellow small business owners, nurses, the elderly and a few familiar-looking townies convened at a business that took on the presence of a bustling community meeting center. Locals stressed many years ago, through a town-generated survey, about the need for a cafe, coffee shop and bakery. Lucky for them, they got all three with Red Cherry Cafe… and then some. As that classic song by The Hollies went, the road was long, however, with many a winding turn for Red Cherry. Once a year-round frozen yogurt shop that initially enjoyed popularity, Red Cherry, unfortunately, fell victim to the quick demise of the once wildly popular frozen yogurt trend. Red Cherry reduced their business to a seasonal operation and then closed entirely in October 2016 with locals wondering if the business would ever come back. Evelynn had a vision, however, and with the support of a close-knit family, used her Bentley University marketing degree, innate business savvy and sheer determination to reopen the storefront with a soft opening in May 2018. Red Cherry Cafe looks beautiful — indeed, a bright and cheery localized version of espresso and coffee bar chains but without the revolving door of employees, inexcusable customer service gaffes, and elitist attitudes, as well as trendy offerings in the form of overpriced products. This is, first and foremost, a family business with Evelynn leading the way and her mom (Donna), dad (Bill) and brother (Kosta) working hard in hopes of living the American Dream and pleasing the customers in this pleasant South of Boston town they have chosen to reside and take up business. Homemade chocolate chip cookies from Red Cherry Cafe. Lisa Stranahan, a Walpole resident, sampled the “Modern Turkey” sandwich with sliced turkey, Granny Smith apple slices, sharp cheddar, horseradish mayo, lettuce, and tomato on rosemary focaccia. “This is good, really good,” said Stranahan with an enthusiasm that suggested this isn’t the same old turkey sandwich. Freshly brewed coffee in light medium and dark roasts. Mediterranean salad from Red Cherry Cafe. 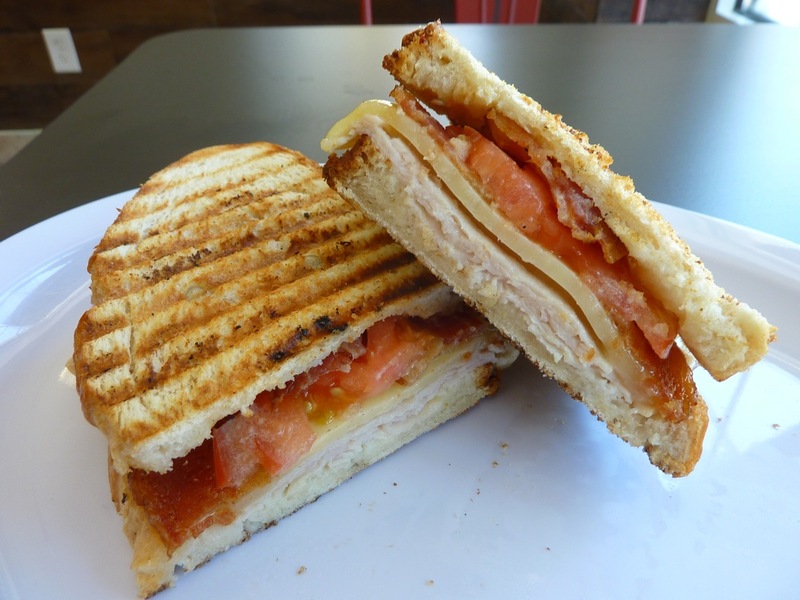 Turkey panini from Red Cherry Cafe. 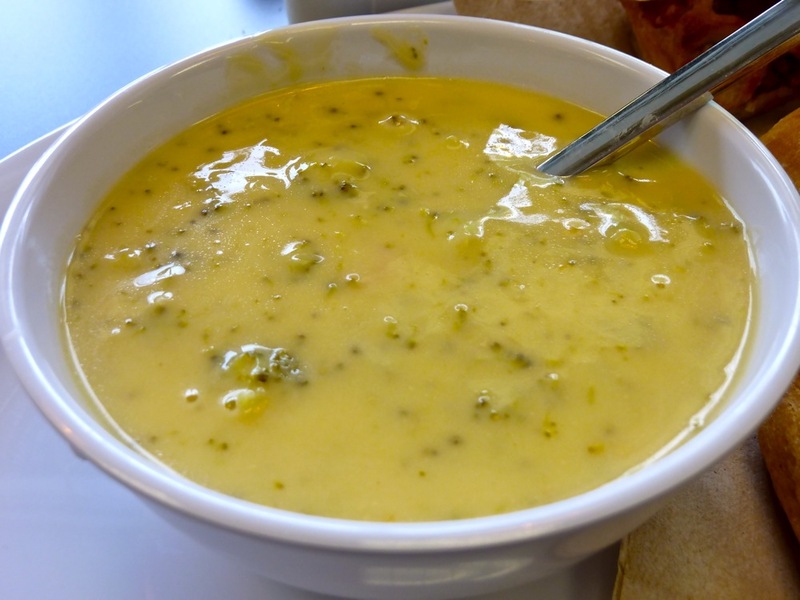 Broccoli cheddar soup from Red Cherry Cafe . Amply-sized fresh breakfast sandwiches, homemade muffins, croissants and waffles go well beyond the fast-food norm (like a warm Nutella waffle topped with fresh strawberries, whipped cream, and sliced almonds). Nutella waffle from Red Cherry Cafe. 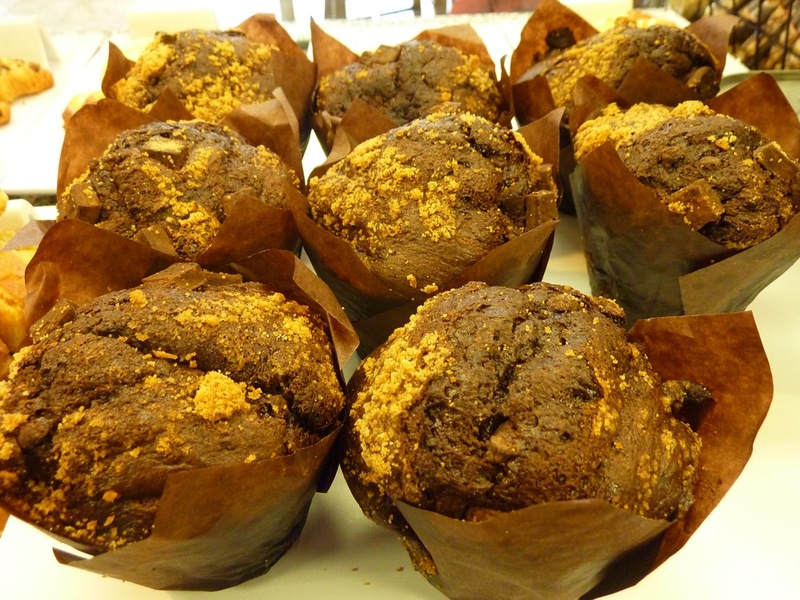 Chocolate muffins from Red Cherry Cafe. The imported Italian pastries are as good as anything you’d find in the North End of Boston. Cases-in-point: the tiramisu, cannolis and red velvet cake. Red velvet cake from Red Cherry Cafe. Cannolis from Red Cherry Cafe. 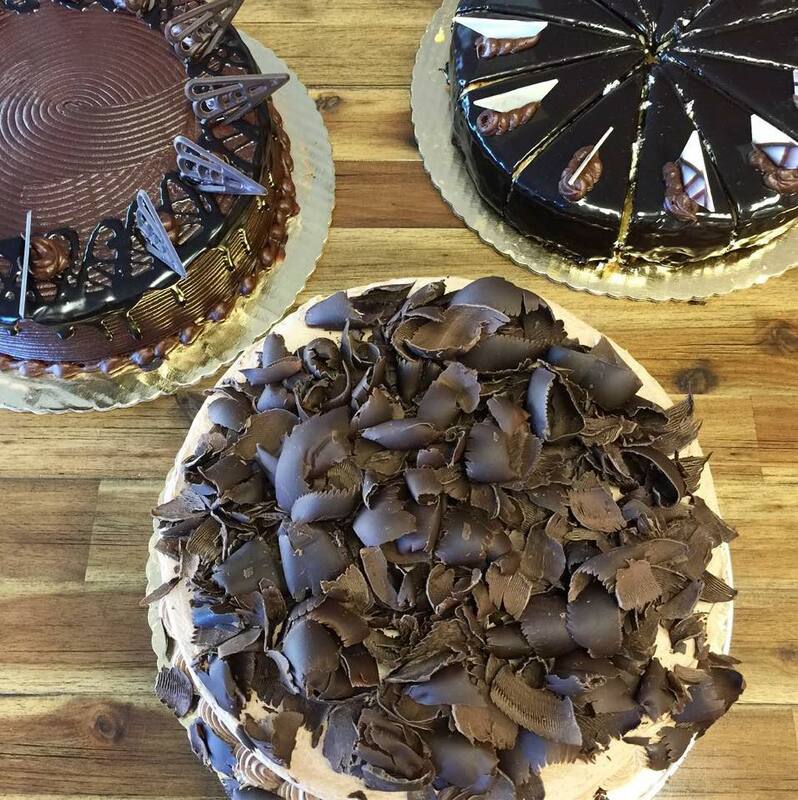 Speaking of the North End of Boston, Red Cherry is now featuring cakes from the legendary Modern Pastry. This new addition, alone, is worth visiting Red Cherry, as Modern Pastry is known by locals as one of the gold standards for bakeries in the Boston area. Red Cherry also offer 16 flavors of Richardson’s Ice Cream — one of the best locally-made ice creams in New England. 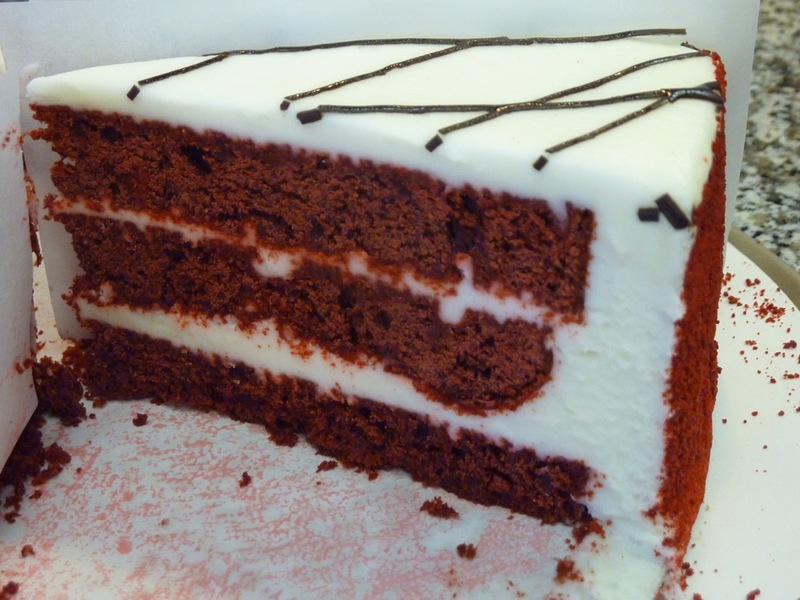 Red Cherry Walpole now serves mouthwatering cakes from Modern Pastry in the North End of Boston. Photo source: Red Cherry Facebook fan page..
On grand opening night, the kids showed great enthusiasm about what was on display in the cases (for the record: the adults did, too). Also, Red Cherry is offering Richardson’s Ice Cream — one of the best locally-made ice creams in New England! Display case with imported Italian pastries at Red Cherry Cafe. Of course, the locally-roasted organic coffees, as well as a nice selection of teas, obviously serve as coffee shop staples, but there’s clearly more to that foundation. 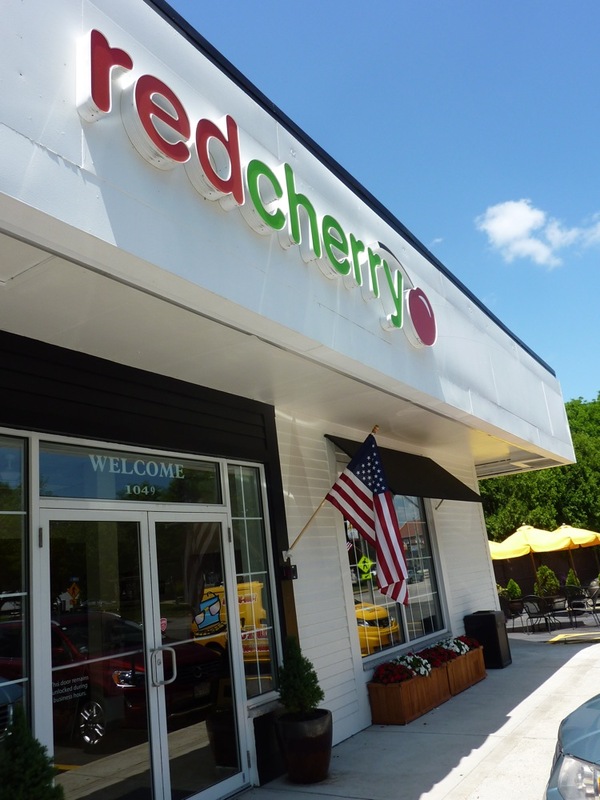 Red Cherry comes across like an ideal place to convene with friends and family, escape the stresses of work and ever-worsening suburban Boston traffic, and to build a relationship with a family that genuinely likes Walpole and its people. 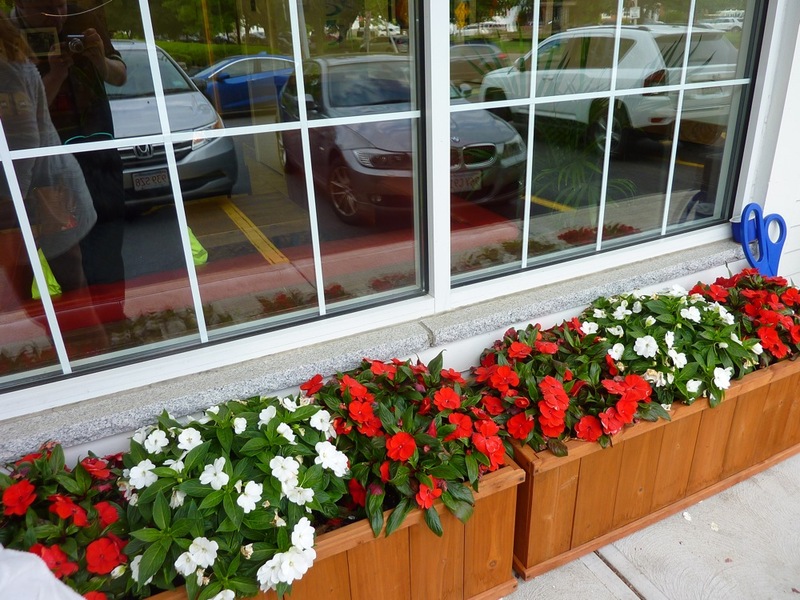 Red Cherry Cafe features comfy couches, ample window and dining area seats, a nice rustic wooden wall where the frozen yogurt machines once stood, pleasant ambient lighting, a wide-screen television, flower beds lining the exterior and a sunny, pleasant outdoor patio area. Dining room at Red Cherry Cafe. 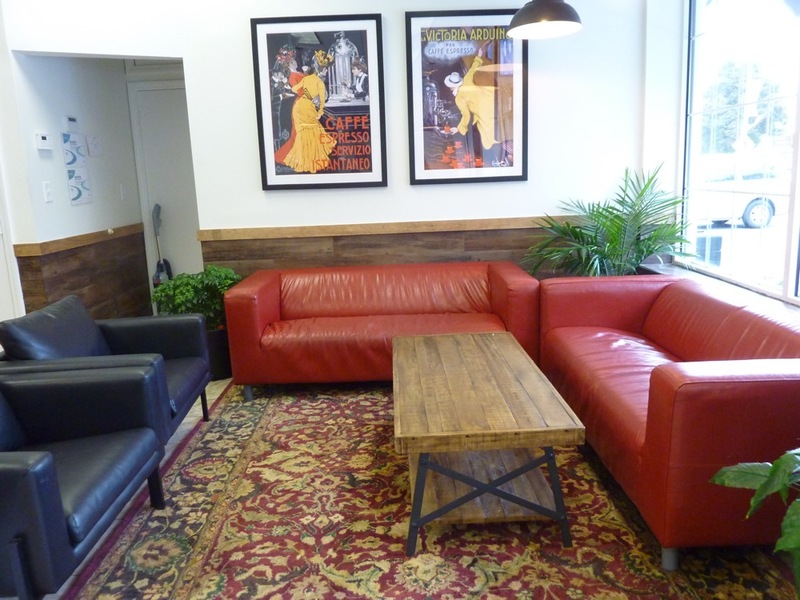 Comfy sofa section at Red Cherry Cafe. The outdoor patio at Red Cherry Cafe. An innate local, community feel keeps this vibrant business from being just another sterile, generic “We’re cooler than you” bakery cafe/coffee shop that claims superiority over its customers. Red Cherry Cafe, on the other hand, regards everyone as “cool” — from newborns to the elderly. “It will be nice to have a place that all locals can enjoy and call their own,” said Evelynn. Red Cherry Cafe is located at 1049 Main St. at the corner of Front St., in Walpole, Mass. Tel. (508) 921-3196. Walpole is located about 18 miles southwest of Boston. Flower bed at Red Cherry Cafe. ← When Do Free Entrance Days in the National Parks Take Place in 2018?